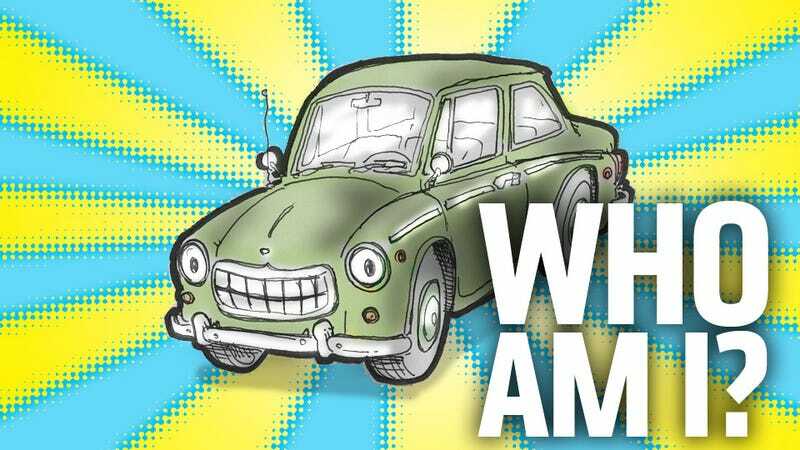 Welcome to Oppositelock's very first contest, sponsored by Jason Torchinsky of Jalopnik! You may remember that on New Year's Day 2013, Mr. Torchinsky announced a contest to name his everycar mascot pictured above. Then nothing happened. Mr. Torchinsky is a man of wealth and taste. His cars have cockpits, while our fists are ham. Much like Carter Bays and Craig Thomas, he has no obligation to create a fulfilling finale for his creations. But Mr. Torchinsky has taken time from his schedule of Bentleys, babes, and babies to provide the finale we desire, and he needs your help. In the comments, give your nominations for the mascot's name. When the nomination period ends, The Oppositelock moderators will select the best names and create a poll. The winner of the poll will be provided to Mr. Torchinsky for his ascent. Official Rules: Nomination period begins when this post is...posted. Nomination period ends when enough good nominations have been given. The moderators have sole discretion concerning the definitions of "enough" and "good." Jason Torchinsky has sole discretion concerning the definition of "sponsored." The final poll will be posted when the moderators have time to create and post it. Turnaround will be short, but this isn't our job give us some slack just be cool OK? All nominations, including the winning nomination, are subject to the approval of Jason Torchinsky. The Oppositelock moderators will provide no prizes; all prizes, if any, are at the sole discretion of Jason Torchinsky and Gawker Media LLC. The Oppositelock moderators have no legal representation; please don't sue. In the event of litigation, the moderators reserve the right to bribe rb1971 to provide counsel.